Arranging for a Green Deal assessor to visit your property is the first step in the Green Deal process. Look at the Green Deal assessor as an advisor. Fully accredited it is their job to pop along to your property and basically give it the once over. After checking out your home, the Green Deal assessor will talk you through their recommendations as to how you can utilise the Green Deal to make your property more energy efficient. The assessor will advise you about the Green Deal and how it works and suggest what measures can be implemented, ultimately producing a Green Deal report and a plan of action. Home improvement measures may include installing loft and cavity wall insulation, upgrading to new condensing boiler, fitting new energy efficient double glazing and even installing a solar PV system or an air source heat pump. To give you the best advice the Green Deal assessor will need to see your household energy bills from the last 12 months and your property’s EPC (Energy Performance Certificate) if you have one. Know your Green Deal assessment rights says Which? If a Green Deal assessor knocks on your door without a pre-arranged appointment they cannot assess your property without 24 hours elapsing, unless you give them permission to waiver the 24 hour period. Check for the Green Deal Quality Mark – which means the assessor is authorised. Confirm whether there will be a charge for the assessment, particularly if you decide not to proceed or if you end up using a provider who isn’t linked with the assessor. The Green Deal assessor may try to sell you non-Green Deal services but they must get your permission to do so. You have every right to say you’re not interested and leave it at that. What happens during the Green Deal assessment? Okay, so you’ve made an appointment for a Green Deal assessor to pay you a visit to discuss what the Green Deal can do for you, in terms of giving your home an energy efficiency makeover. The main outcome of their visit will be to produce a Green Deal advice report which will rank your home in terms of its level of energy efficiency on a scale of A to G, in addition to an Occupancy Assessment which is basically an assessment of how you use energy. Ask you a wide range of questions ranging from what if any energy efficiency measures you have already implemented to how many people live in the property, amongst others. 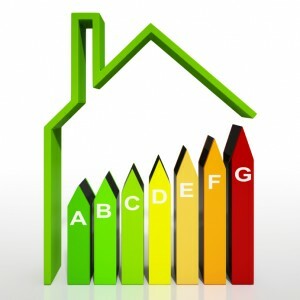 The assessor may provide you with a quote there and then, if they are from a company which provides Green Deal measures. But the assessor has a duty to be clear whenever they switch hats as it were, from an impartial assessor to a salesperson. According to Which? low energy users need to be fully aware that the level of finance under the Green Deal can be based on typical savings rather than the actual amount of energy used. Therefore low energy users could repay more than they save. The Occupancy Assessment will determine whether you are a low energy user. Repayment estimates made during an assessment won’t include interest. What happens after an assessor has been out? As with any quotes, it’s always advisable to shop around. Take your assessment to other providers if you wish, but remember to check for upfront charges. Don’t feel obligated or pressurised into signing up to anything on the spot, particularly when big one-the-spot discounts are offered to you. Look at other possible financing options. It’s advisable to compare a Green Deal plan quote with the cost of a personal loan, for example. And last but not least remember if you’re in any doubt, ask.